Bolton’s Restaurant is a popular Italian restaurant which offers a beautiful private dining room in the heart of London. If you are organising a business lunch, private party or just want the privacy of your own dining area, the refurbished Venetian Private Dining Room can accommodate up to 20 people. The minimum number for a party booking is 8 guests and you will be invited to choose from a selection of private dining room buffet options or our a la carte menu. We are very happy to also offer bespoke a menu for your special occasion. The buffet menus on our website are examples of menus we have prepared in the past (all prices are per head). Our menu offers a simple combination of fresh traditional Italian food and great service in stylish private dining room surroundings. Bolton’s Restaurant is also available for private parties in the evening for up to 100 people seated and 150 for canapes or buffet style evening functions, launches and weddings. Bolton’s restaurant has long been a favourite of the high-powered bankers and businessmen in London and has established itself as a place to network and entertain. With its subtle hints of luxury and affluence Bolton’s remains stylish and timeless, very much like its cuisine. Bolton’s intimate private dining room is a fantastic venue for private parties such as birthdays, anniversaries, retirement, weddings, engagements, presentations, charity quiz nights as well as business meetings and corporate events. You will be served by attentive staff who understand Italian cuisine and who know their wines, so you can be confident in their guidance. Our restaurant in the heart of London with a well-earned reputation for excellence. It has several comfortable, versatile spaces for business lunches, private parties and understand that at times customers appreciate the privacy of their own private dining room. Bolton’s restaurant is open Monday to Friday from 11.30am-3.30pm and 6.00pm to 9.45pm, so is a perfect choice for lunch, dinner or drinks near Monument. To make a reservation and book a table at Bolton’s Restaurant London call 020 7929 1981 or visit our website for more details. 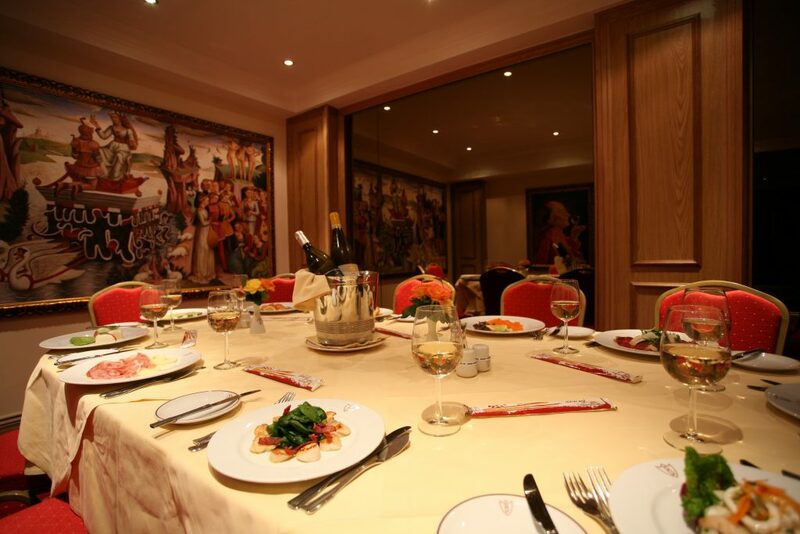 : Looking for Private Dining Room in London?